To make our delivery billing process more convenient, we now offer all of our customers the opportunity to have their invoices and statements e-mailed directly to them after each delivery. If you'd like to opt in, please enter your account number and e-mail address into the form below and click the "Join" button. If you have already subscribed, click here to homepage. When it comes to personal service and that "small town touch," no one beats Glider Oil. 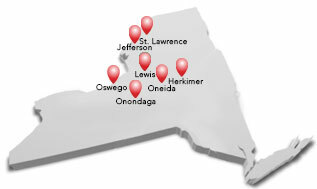 Since 1942, we've been serving homes and businesses in Oswego, Jefferson, Onondaga, Lewis, St.Lawrence, Oneida and Herkimer counties with quality fuels at competitive prices - and the flexibility to meet your unique comfort needs. Explore our website and find out how our fuels and services can help your family save energy, money and stress! And check out our valuable conservation advice - we're here to help you go green every day of the year. We think you'll love the convenience of our new pay online feature, too. If you're not yet a member of the Glider Oil family of satisfied customers, we hope you join us soon! If you're already our valued customer, thank you for your patronage. If you have any questions or concerns, please don't hesitate to call or contact us. Now at Glider Oil, save even more on residential propane purchase with our Pre-Buy program. Click here for more information. Click here to download our service contract.